Very best wishes from Carshare, to everybody, for a successful and happy Christmas. With the new magazine, and the FRA Calendar, plenty to be making plans for. Pre-entry dates will need to be watched out for, several don’t yet seem to be declared. 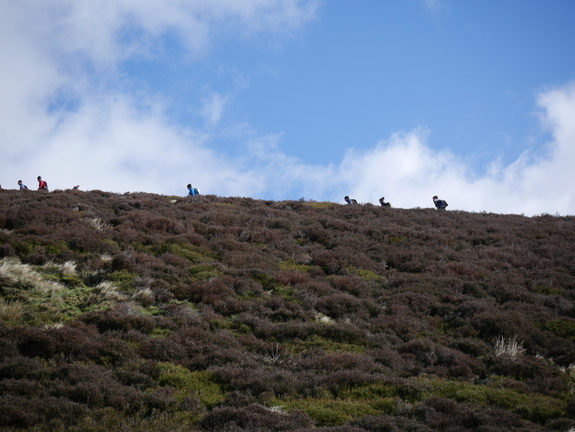 Edale will likely be busy, with the alternative being the very hard Buttermere Horseshoe. The Ireland race, as is usual, looks excellent - and a very strong AM. I’ll put out a map soon, maybe enough of an incentive to be entering. There is a bus from Donard Park in Newcastle to Spelga Dam, and then simply run back home. The first bit is the same as their Spelga race, then a bit of Slieve Bearnagh race, landing out on Slieve Commedagh and finish as for last year’s race. For anyone who’s not done the weekend, it can’t be recommended highly enough. Totley Two Turtle Doves:- results. Chevin Chase - someone usually runs around Otley Chevin..results. Wansfell - a classic Lakeland AS. Just get up the hillside, don't crash on the icy bits : come down the hillside, avoid the icy bits, and lots of soup, tea and mince pies afterwards.